COLUMBUS, Ohio -- Boom, then bust. It’s a scenario often played out in local economies heavily reliant on one type of industry, especially in the energy sector. And it’s an underlying concern for Ohio communities currently experiencing a boom in shale oil and gas development. But the cycle isn’t inescapable, say community development specialists with Ohio State University Extension. They have received funding to help eastern Ohio communities examine how shale development, also known as fracking, is affecting their economies, environmental conditions and social structures and to create plans for long-term viability. With $200,000 in funding for a three-year project from the U.S. Department of Commerce’s Economic Development Administration, OSU Extension has joined forces with four regional EDA districts representing 25 eastern Ohio counties. 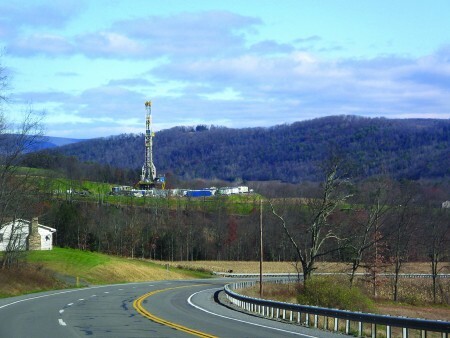 “We are trying to help the communities in the region position themselves for sustainable economic development that leverages the shale play and prevents the bust that inevitably would happen,” said Nancy Bowen-Ellzey, an OSU Extension field specialist in community economics and one of the project’s principal investigators. OSU Extension is the outreach arm of Ohio State University’s College of Food, Agricultural, and Environmental Sciences. “We’re using data sets to examine the economy in these counties and are identifying what we’re seeing growth in and what we’re seeing contraction in,” Romich said. Bowen-Ellzey explained that the researchers are looking at data back to 2010, when shale development-related injection wells started coming into the area. They are tracking changes every quarter using data from Ohio State’s Center for Human Resource Research and are also collecting data on an annual basis from IMPLAN, an economic modeling program. “This is the ‘So what?’ to our cluster analysis,” Romich said. “If industries are showing signs of growth, what does that mean? What type of change is this compared to a national average? Specifically, Romich said, the team will examine how dependent companies’ growth is related to the construction aspect of shale development. By assisting communities with business retention and expansion programming, OSU Extension specialists can help companies determine if they can increase their business by marketing their products to other regions or states, such as Illinois, that are just beginning to explore shale development, Romich said. “But if they can’t do that and the rise in employment is going to go away after the construction phase, we want to know that, too,” he said. As researchers collect data, staff members at EDA’s district offices will input the information into geographic information system (GIS) mapping to provide a visual representation of an area’s economic activity, population and demographics, educational resources, and infrastructure. “This will help filter the raw information into something digestible by the community,” Romich said. OSU Extension and its EDA partners will take the information and incorporate it into the EDA district offices’ Comprehensive Economic Development Strategies (CEDS), which are designed to foster collaboration across community lines and are submitted to EDA every five years. Each EDA region involved in the project will use the information to develop strategies to diversify their economies and prepare for any downturn in shale development. “We’re not just rolling into a community and saying, ‘Here’s what you need to do,’” Romich said. “Maybe one area’s infrastructure is fine but it needs to invest more in micro loans for manufacturing or in workforce training. Maybe another area needs infrastructure improvements to support new industry or training opportunities. The EDA offices working with the team include the Eastgate Regional Council of Governments based in Youngstown in Mahoning County, the Northeast Ohio Four County Regional Planning and Development Organization based in Akron in Summit County, the Ohio Mid-Eastern Governments Association based in Cambridge in Guernsey County, and the Buckeye Hills-Hocking Valley Regional Development District based in Marietta in Washington County. In addition to the EDA grant, the team received a related $20,000 grant from the North Central Regional Center for Rural Development to develop educational materials for local leaders in communities experiencing shale development. Myra Moss, a member of the team and community development educator for OSU Extension, is leading the effort, called Preparing Communities for Shale Development through Sustainable Planning. In Ohio, the team is piloting materials with leaders in Guernsey County to identify local assets, challenges and benefits related to shale development and how they fit into the area’s strategic plan, said team member Cindy Bond, also a community development educator for OSU Extension. Moss said the idea is to develop a comprehensive classroom and web-based curriculum that can be used by communities throughout the north-central region of the U.S.
“It’s designed to be a bottom-up process -- to get the community engaged and work together to identify what they think are the most important goals,” she said. Materials are also being piloted by partners in North and South Dakota as part of the grant. For updates on the project, see OSU Extension’s Energize Ohio website, energizeohio.osu.edu.